When my hubby was 17 years old he was diagnosed with a severe form of Ulcerative Colitis (UC). A terrible autoimmune disease that is very similar to Crohn’s disease. Basically , ulcerative colitis is a condition when the lining of the colon becomes inflamed and develops open sores or ulcers. It causes great pain and discomfort. Supposedly there is no cure for it! The hubby has been on a ton of medication for the last 10 years to help control his symptoms. He would rarely have a flare up and usually felt pretty good. He would occasionally start to get symptoms when he reduced his medication or didn’t take it for awhile because he ran out of it. So we knew it wasn’t healed. I had been trying to convince him to try the GAPS diet and the autoimmune paleo diet, which he just wasn’t interested in because he felt fine most days. Finallys I convinced him to try Whole30 since many of our friends were doing it too! Man, I’m so thankful he did! On May 27th, the hubs started taking half his medication and a little less than a week later completely stopped. We waited and waited, and prayed that he was healed, and waited some more to see if any symptoms would flare… Nothing. We did research on foods that affect UC the most and decided that gluten and dairy were probably going to have to go. Well, his first day off his Whole30 hubby decided he HAD to have pizza. We’re from Chicago people… This guy could eat pizza everyday if I would let him. He made his own gluten free pizza and got “raw” cheese hoping that would be ok. Let’s just say he learned his lesson and he’s not eating dairy anymore. So one month as gone by since we finished our first Whole30 and he has no symptoms (besides sadness from not being able to eat pizza and normal ice cream). Allelujah! We and many friends have been praying like crazy! It’s crazy to think a disease that he has had for 10 years and had to be on constant medication can be controlled with diet. He will have very small amounts of dairy every now and then and continues to stay away from gluten. I remember back in the day, before we got married that he had told me that he couldn’t be on one of his medications when we were going to try to have kids. Well, since that day of trying is coming closer I started doing research on the medications he was taking. One of them is a immunosuppressant that is suppose to be used for short time periods, and is usually used for organ transplant patients. It causes cancer, infertility in men while taking the medication, and birth defects. He had been on this for 10 years! Ahhh! Why I didn’t look this up sooner I don’t know! I’m embarrassed to say that I hadn’t. We have been continually been praying that his colon is healed and believe that through diet and Jesus it has! For the first few weeks I would ask him every day how he was feeling in a panicky kind of way. Now, I rarely ask him and he’s been feeling great! I’m so thankful for his willingness to try Whole30 and the results that happened! Praise Jesus! Interested in Whole30? Here are our week by week Whole30 Challenge.. Amazing!!! I am beyond happy for hubs and you, too. I love to hear how the power of real food truly can and does heal. I’m glad those medicines have been sidelined. Hooray! Thanks Jessica, we are too! I might have done some “I told you so” dances since I was trying to get him to try this for months! Terrible I know! I’m just happy he is symptom free! I’m so happy to hear the good results! So glad lots of prayer and some thoughtful food choices are making a big difference! You can do it girl! 30 Days could change your life! Some people have found doing the paleo diet has helped with their UC too. We kind of eased into the Whole30. Started by doing a few weeks of gluten free first! The immunosuppressant meds are the scary ones. Hopefully you can find something that works for you! So happy for Neil and your success!! It’s amazing what the right food for your body will do. It really shouldn’t be “amazing” because REAL food is all that we should eat, but it can be such a challenge in our culture. When you feel better though, you don’t want to go back! Keep it up, you guys! Awesome!! Thanks Lauren! I couldn’t agree more! It’s so hard when we are surrounded by not so healthy/fake food all the time. And you know how DC and small group can be which makes it ever harder. We had that convo this morning and Neil would do anything for pizza and some mac and cheese right now haha! Thank you for sharing. I have done a whole30 and am trying to get my husband to join me on another round. He has UC, is on daily medication, and gets monthly infusions. He is hesitant though because 1) his dr told him that raw fruits and veggies wouldn’t be good for him. And 2) he loves his ice cream too much 😉 haha. I keep sending him these success stories in hopes he might give it a shot. Laura I think are husbands have a lot in common! Mine wouldn’t do it until his best friend was in on it too! He swore it wasn’t just because of him, but I’m not convinced hah. I hope you can get your husband to join and get great results like we did! 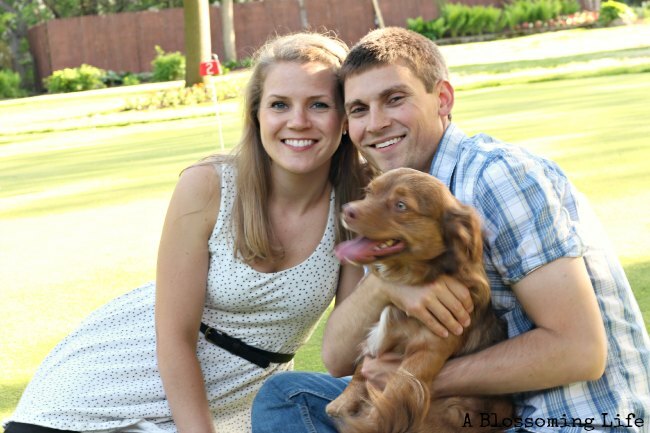 Thanks for sharing your husband’s experience with the Whole 30. My husband and I are in the midst of doing ours now and he has UC. He is having some issues with having increased fiber from all the fruits and veggies that we’ve been eating (this is day 6). He is also used to soothing his tummy with yogurt, but dairy is out. We’ll see if we can find a good substitute. Has he tried taking a probiotic to help with his digestion? I hope he finds relief!!! Sorry it took so long to reply I just had a baby. Omg, my sister sent me this link because I Suffer with uc for 9 yrs and it’s just getting worse I’m 33 with 3 kids and I’m always sick. I take a lot of medications on a daily basis for it now (more that what a 33 yr old should be taking) it’s so hard because I’m a working mother and wife so by the time I get home I’m exhausted and want to cook something quick. We love pizza, pasta, ice cream as well as your hubby but I think it’s time for me to change things now because I ain’t getting any better and I don’t want my GI to add another medication to what I already take. I was already thinking of asking him if surgery was an option because I’m always sick to the point that I don’t enjoy being active with my family because I’m always hurting. Thank you very much for you and your husbands testimony, I know that with God all things are possible! God bless ! I’m so sorry to hear that Cynthia. I know how detrimental UC can be. I really hope you can find relief and God is there for you! Medication may not be your only option. It’s hard to stick to the diet, but now that it has been over a year he can occasionally have some bread and a little butter without it affecting him. I just came across your post. 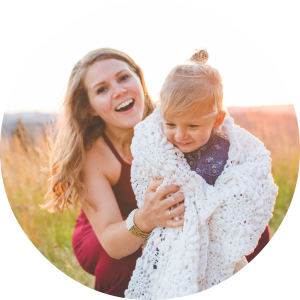 I am a mom of 4 with ulcerative colitis, and I was wondering how your husband is doing now? Almost 3 years have passed since this post. Has he had any flare ups? Has he had to go back on any medications even short term? I’m just trying to look realistically at my options. Hey Esther! I’m so sorry to hear that. He has never gone back to any medications. Occasionally when he eats something he is not supposed to he will have a stomach ache and have to use the bathroom more for a day or two but that is it. I wouldn’t even call them flares as they are not really crippling like that used to be at one point in his life. It is definitely worth trying Whole30 as it has transformed his life and mine. I hope you find relief and that this was helpful. I am incredibly encouraged by your story! My husband has been battling ulcerative colitis for over ten years now and the last several years his condition has been really severe with no consistent relief. After researching the Whole30 and reading your husband’s success with the program, we decided to do it. We are two days into the Whole30, yesterday went pretty good, but today I am noticing a lot of trips to the bathroom. 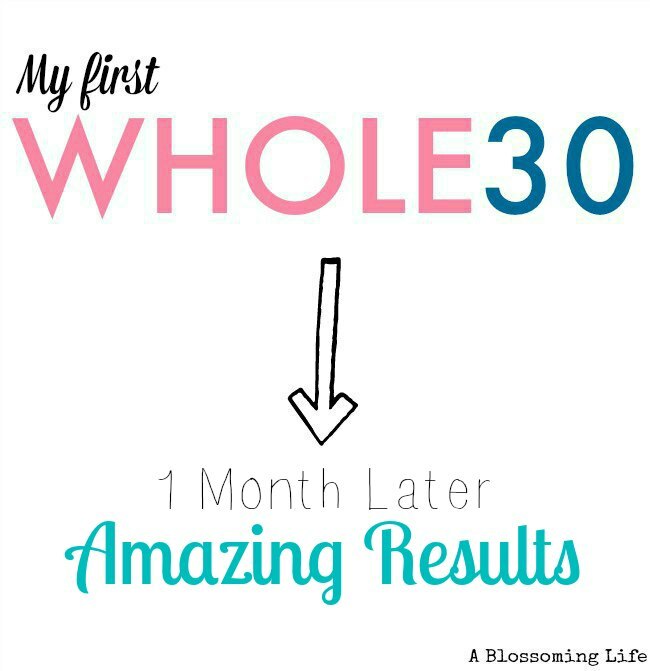 Did your husband do the full Whole30 plan or did he customize it to his needs? Did he eat potatoes, raw veggies, fruit, and eggs? I have read that these foods could be a trigger for those with ulcerative colitis. Also, what foods did he reintroduce after the Whole30 and what does his diet consist of now? I am sorry to be asking so many questions, but we are feeling desperate to get my husband back into remission. Thank you so much for your help, I am so happy that your husband has found healing! We are praying that my husband will find healing too! Hey Kristin! No worries I totally understand and don’t mind at all. I really hope your husband finds relief, I know how it can be so debilitating. My husband did the full whole30- he didn’t have white potatoes as they weren’t allowed at the time but since they have changed up the program a bit. He eats fruit all the time, and usually we have cooked veggies (he will eat a few raw baby carrots daily) not a ton of raw veggies, and we do eat eggs daily. He started by introducing gluten free pizza (totally not recommended), but it showed us he had a dairy intolerance real fast. After that he learned his lesson and introduced slowly. He started decreasing his medication at the end of whole30 (consult your doctor of course) so we saw what was affecting him. So this was almost 4 years ago now and he is still pretty much symptom free without medication. We eat generally healthy -lots of fruits, vegetables, gluten free grains, and low processed sugar. We have been eating gluten and dairy free mostly for these 4 years and recently he has started adding more gluten into his diet without issues. If he eats gluten every day for a week his stomach may start to hurt, but over the last few years it seems this has decreased. I really hope this helps and I hope your husband feels better. I know some people have different triggers so I hope you can pin down his.